2 day- 3 tours! Hong Kong was a mixture of old and new presented to us through the eyes of our guide Frank Law and our terrific driver, Ringo. Frank was entertaining, informed, and caring about all aspects of our (2-day private tour for 3 couples. We ate in authentic and fun restaurants, we saw very enlightening sites and were told educational and personal stories by Frank. We especially liked the one about his "song bird", his name - "bird". We give Frank a 5 star rating. TOUR GUIDE RESPONSE: Thank you very much, Leslie! For the Lantau Island Big Buddha private limousine tour, we are going to use the private car, private Lantau taxi and Ngong Ping Cable Car in June 2017 to solve the logistics and transportation problem of Lantau Island and offer travelers the easy and enjoyable private tour experience. 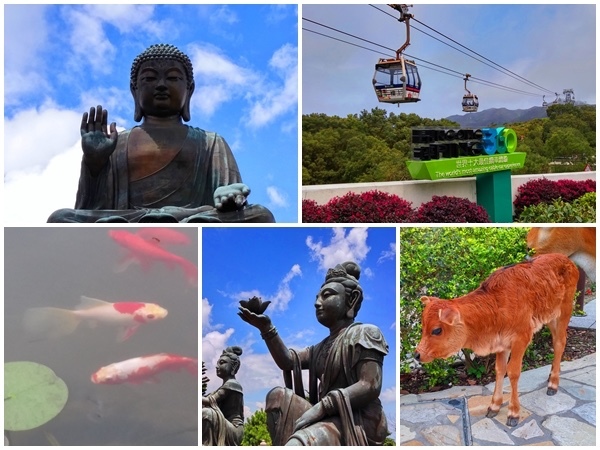 Of course, travelers can enjoy amazing view of Lantau Island during the transfers and cable car ride.